College Football Guys.com: January Podcast is here! "Coach-a-palooza" Special! 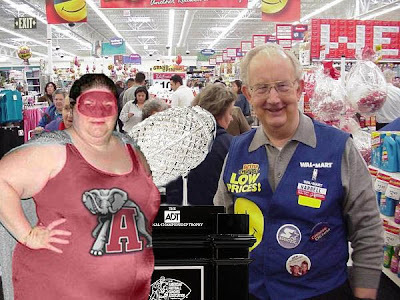 Keep in mind that the Wal-Mart tour was part of a sponsorship with Dr. Pepper and would have happened in the state of whatever team had one the BCS championship game. Also, I wouldn't say that Texas only had a true freshman to back up Colt McCoy. I think anyone who had hardly played all season would have looked a bit rattled being thrown in to the middle of the championship game against Alabama's defense. From the way that quarterback recovered and made some big plays in the second half, it seemed like he probably earned that backup position. I doubt Jevan Snead would have looked much better.